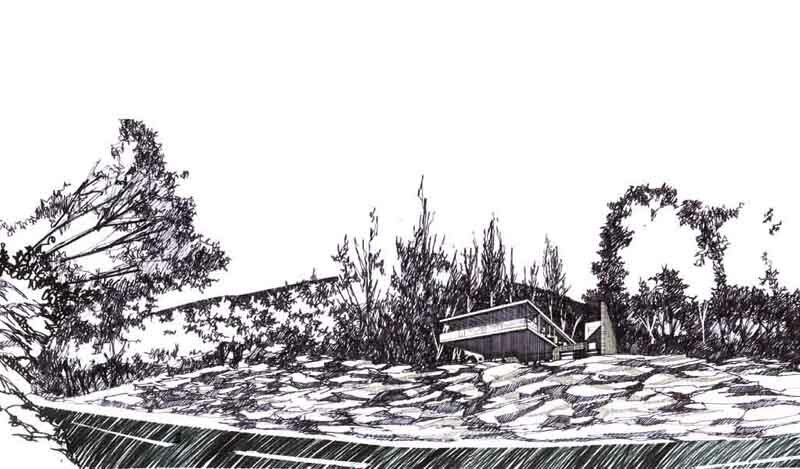 Gordon Murray and Alan Dunlop Architects are pleased to announce that they have finally received Planning Permission for their artists retreat at Dunderave Castle by Loch Fyne in Argyll. It’s hard to imagine a more spectacular and sensitive rural setting. Dunderave Castle sits on a small headland on the north side of Loch Fyne, four miles north-west of Inverary. The 16th Century castle was elegantly restored by Sir Robert Lorimer. The current owner of the castle is an enthusiastic art collector and was keen to use some of the land on the estate to build an artists’ residence. gm+ad was invited to take part in a limited competition to design the new residence. 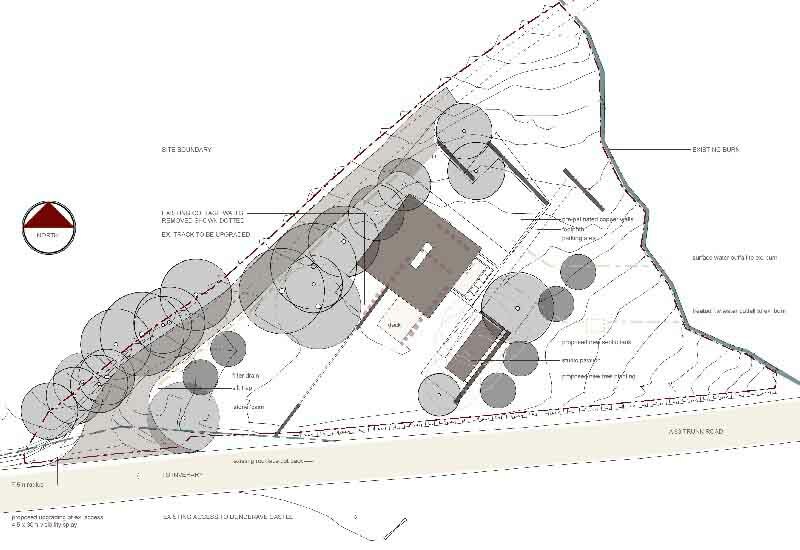 A collection of old cottages on a sloping site across the road from the castle was identified as a suitable site. 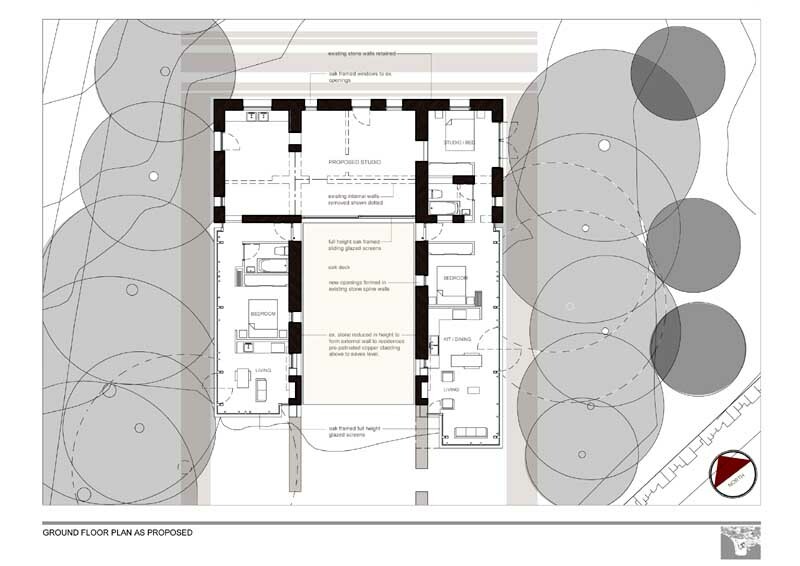 gm+ad won the commission and developed a series of proposals for the site. The initial concept was for an upside-down house in which the studio and living space were located on the top floor, allowing residents the best possible views of the surrounding landscape. 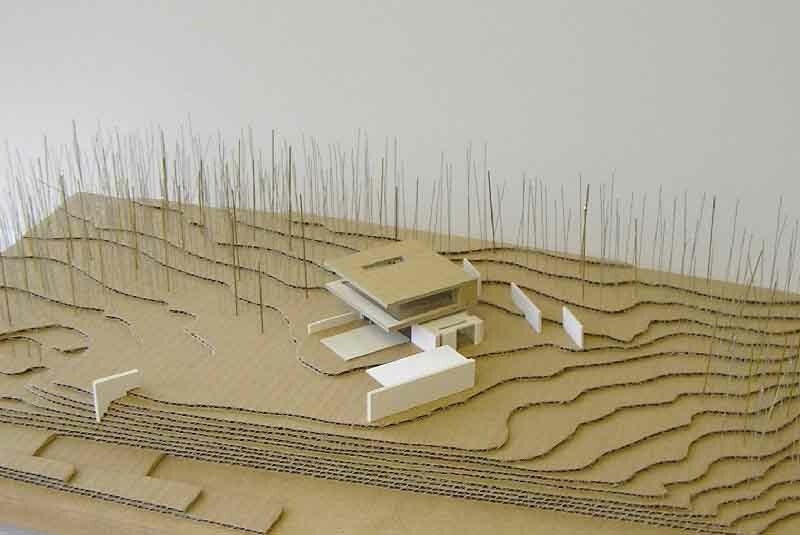 The studio, which dynamically cantilevered over the landscape, sat on top of the bedrooms and bathrooms. This original application was lodged in December 2004, but the Argyll and Bute Planners felt it was too radical a design. “Unfortuantely” says Gordon Murray “local planners have very conservative tastes and find it hard to appreciate buildings that are not presented with the regulation white render and slate roof”. It has also been discovered that the cottages, which are in a derelict state, were designed by Lorimer. 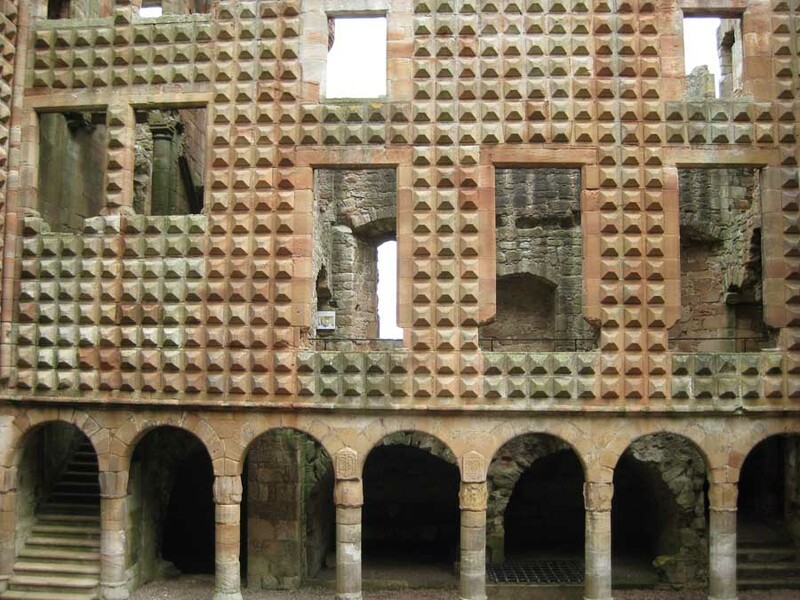 A few weeks’ after world-famous architect Fuksas claimed Scottish architecture had progressed massively in recent years this is indeed a bleak reminder of where we are at. 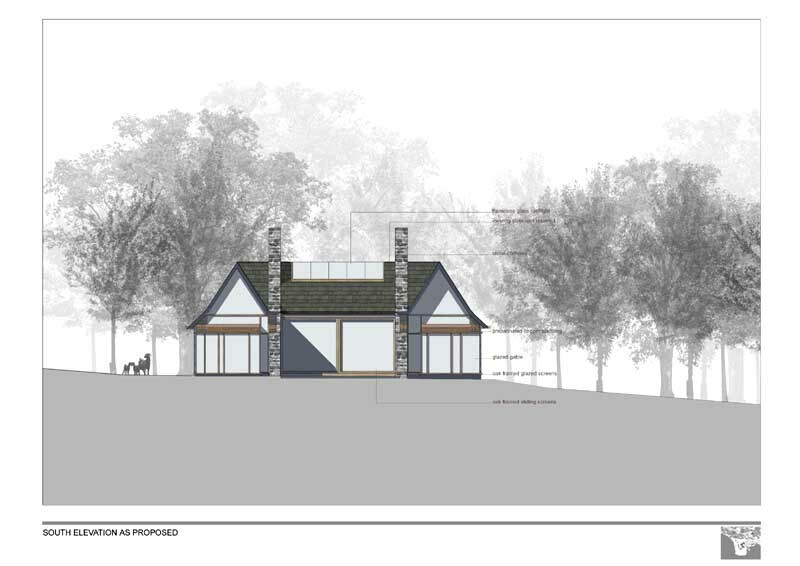 The proposal was for something bold and imaginative, something of our times. Gordon is quoted in the release below as saying “It will be an unequivocally modern structure” yet we end up with retrograde traditionalism – outrageous. Why must talented architects have to struggle against this boorish privincialism? On what basis did these planners cast their judgement, and what is their architectural understanding, if any? On the edge of Europe Scotland risks embedding an image of being a backward out-of-touch country that it has recently started to valiantly shake off. 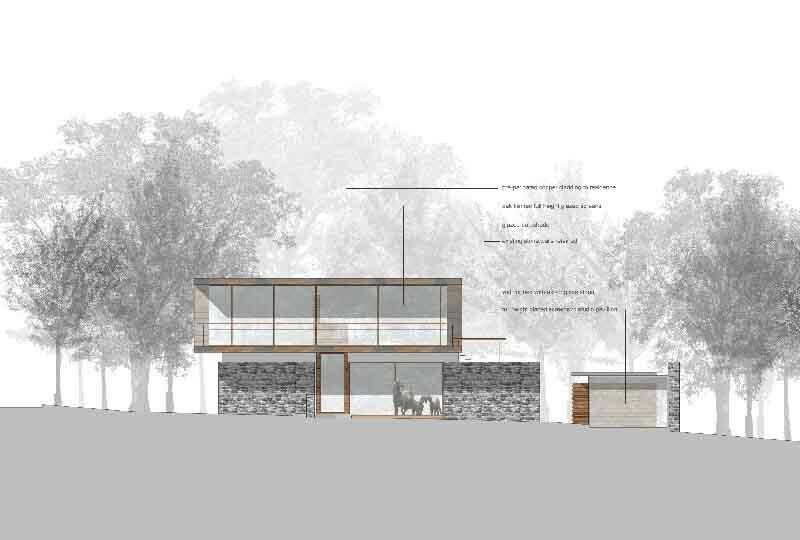 Gordon Murray and Alan Dunlop Architects have now lodged their proposals for an artists retreat at Dunderave Castle, Argyll for planning approval. 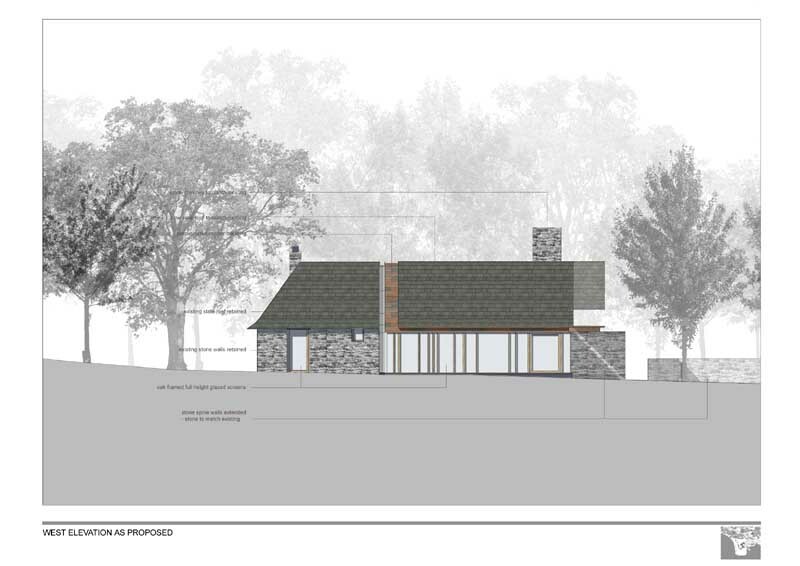 Commissioned by the owner of Dunderave Castle, the new building is situated across the main road to Inverary and incorporates residential accommodation and studio space for artists to pursue their work and gallery space to exhibit. ‘The accommodation on the first floor’ adds Alan Dunlop ‘is arranged within an almost impossibly slim cantilevered structure which appears to hover above the existing rocky outcrop . With the forest as a backdrop, it will look magnificent’. 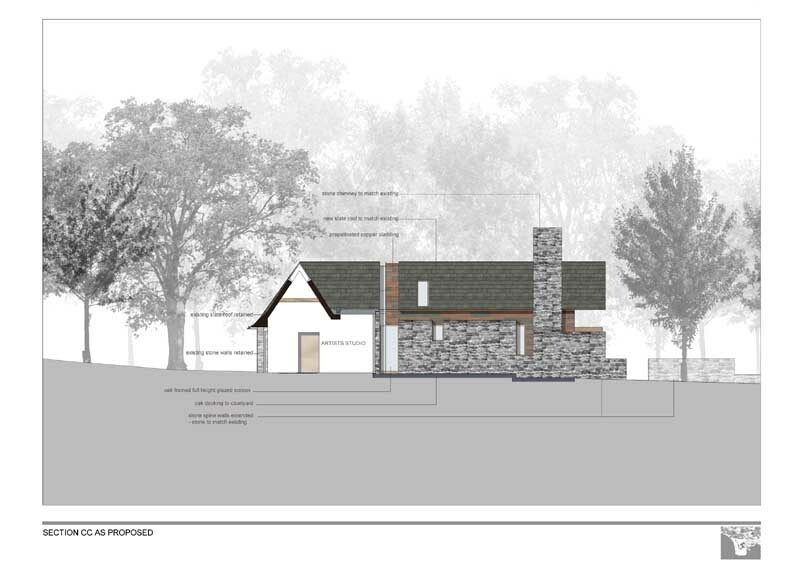 The artists retreat will be built using the stone salvaged from the remains on the woodman’s cottage. With the cantilevered structure finished in copper, with oak framed glazed screens. This Scottish tower house was built by the MacNaughton family at the end of the 16th century. About 1700 the holder of the MacNaughton line married a daughter of Campbell of Ardkinglas, but then fled to Ireland with her sister. The property was forfeited to the Campbells. Anthony Macnaughton at one point worked with me on this website in Edinburgh around 2003.